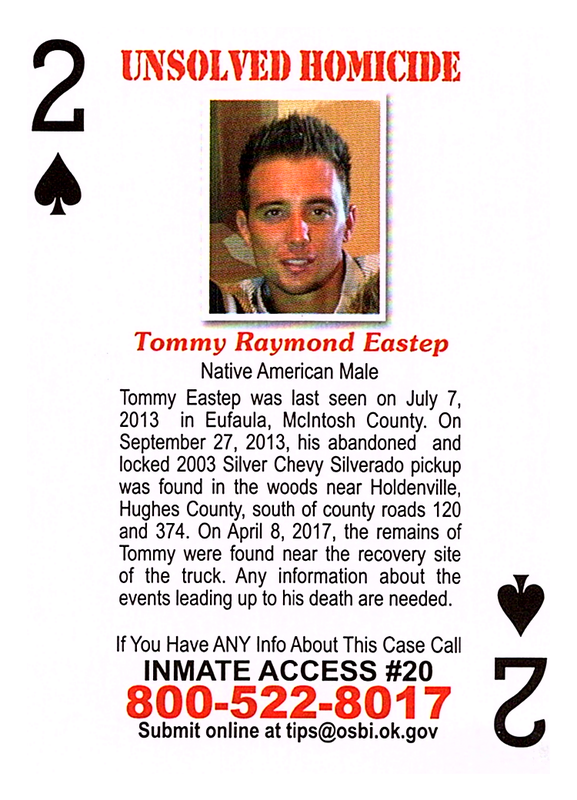 Tommy Eastep was last seen on July 7, 2013, in Eufaula, McIntosh County. On September 27, 2013, his abandoned and locked 2003 Silver Chevy Silverado pickup was found in the woods near Holdenville, Hughes County, south of county roads 120 and 374. On April 8, 2017, the remains of Tommy were found near the recovery site of the truck. Any information about the events leading up to his death are needed.